Access Sport, the charity that uses sport to enhance the lives of young people from areas of deprivation, has launched an innovative pilot volunteering project called Team100. The Sport England-funded initiative aims to bring together teams of 100 local people with diverse skillsets who join forces to get their communities active. The three-year project is founded on research by Access Sport that shows it takes 100 people to lead and fully develop a comprehensive physical activity offer. That number includes local influencers such as politicians, councillors, headteachers, sports clubs and local businesses, as well as hands-on roles which differ from that of a traditional community coach, such as social media, fundraising, catering or grounds work. This collaborative approach has been named the 'Team100 Matrix'. 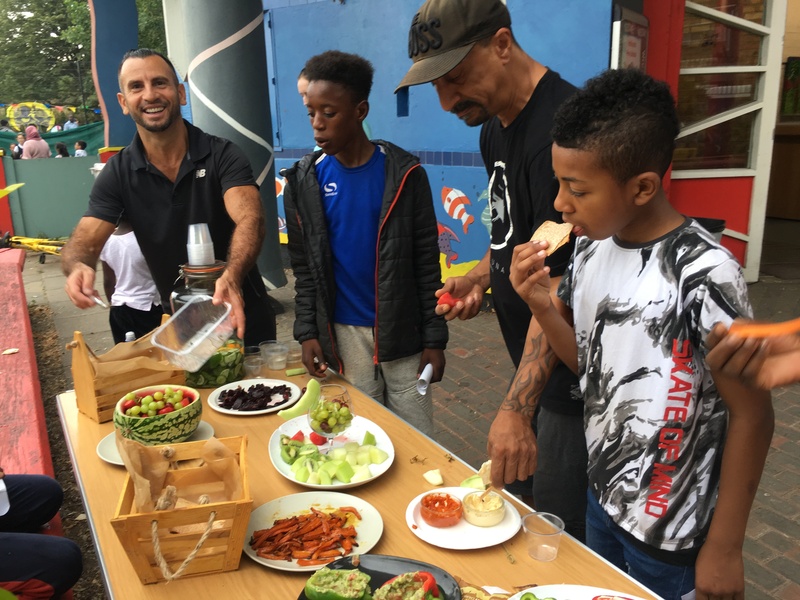 The three pilot projects (two in London and one in Bristol) are created by, and for the needs of, local residents and are continually co-designed with local activators and stakeholders. Access Sport’s Volunteer Coordinator, Jake Tullett, told ConnectSport: “The aim of the project is to empower local communities to get more people active, but rather than focusing on the participants we’re working with volunteers aged 20+ to increase local capacity in a variety of ways. “A lot of the research around volunteering in sport shows that people feel they can’t do it if they’re not fit and healthy, or are not active themselves. What we’re trying to do is encourage different roles because sports clubs don’t just need coaches these days. 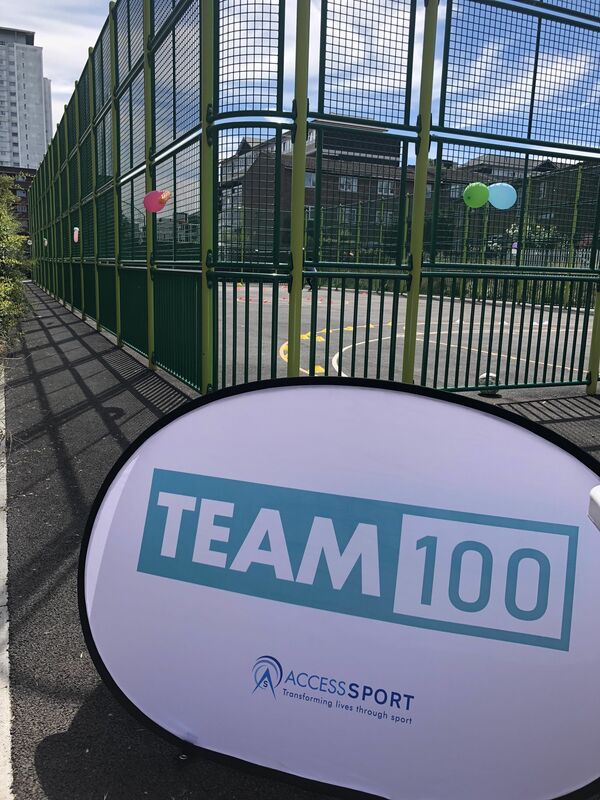 The first of the London-based projects is in Burgess Park in Southwark, where Team100 aims to enhance existing sports provision by working with local club and community leaders to understand current gaps and potential barriers. They will work on upskilling coaches and volunteers to raise the capacity and level of service provided to local young people. In Greenwich, Team100 is starting virtually from scratch, working with tenants and local residents’ associations on strengthening what are currently very sparse and informal football and cycling activities. They are upskilling coaches with Level 1 and 2 qualifications, courses for activators and managing behaviour, as well as a host of other roles. Work begins in earnest in the third locality, in Bristol, next March. It will focus on recruiting and empowering volunteers with disabilities and impairments, who are currently the most under-represented group across the volunteering workforce. Sport England have pledged £147,350 of funding to deliver Team100, with Access Sport sourcing an additional £100,000 over the three years. “Building a team of 100 local people from different kinds of backgrounds, with different skills, is a really important part of the project - but not as important as the learning and knowledge we take from it,” explained Jake.